Claude Vialande is truly a woman of wine. As a girl she would often help her father in the vineyards and cellar of the Chateau where he worked. As a young woman she embarked on her career in wine distribution and ten years later she left the group to become the director of the founder of the AOC Corbières syndicate, where she focused on wine routes, terroir/production area policy, communications and market economics. In 1995 she started a new venture in the wine business and created Domaine Auriol, a wine-producing merchant company specializing in the wines of southern France. The vineyards are managed with the greatest respect for the environment and the wines of the family estates are vinified, matured and bottled in estate wineries. 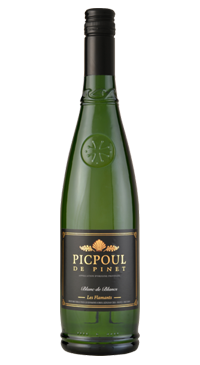 Marqued citrus and floral aromas with a refreshing pithy note on the palate make this the perfect white wine to enjoy as an aperitif or with seafood this summer.